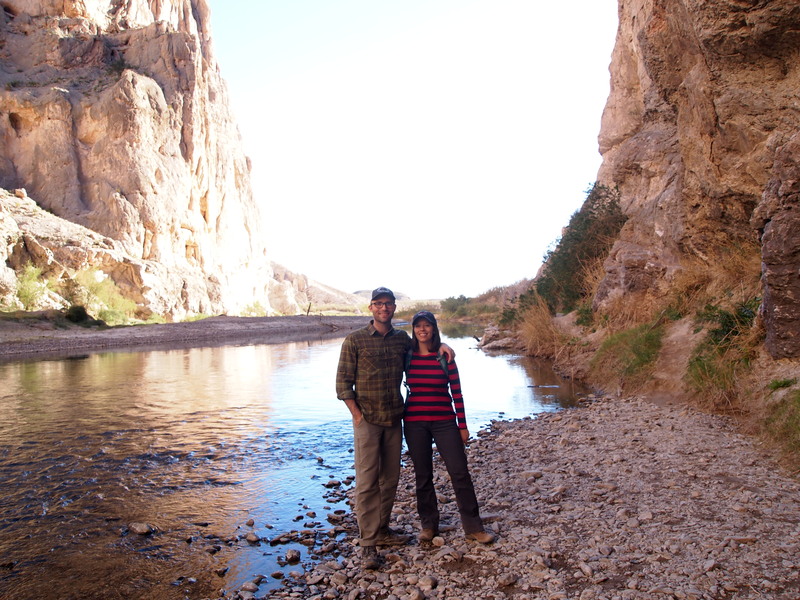 After we returned to the US, we decided to round out our trip to Boquillas del Carmen with a trip into Boquillas Canyon. 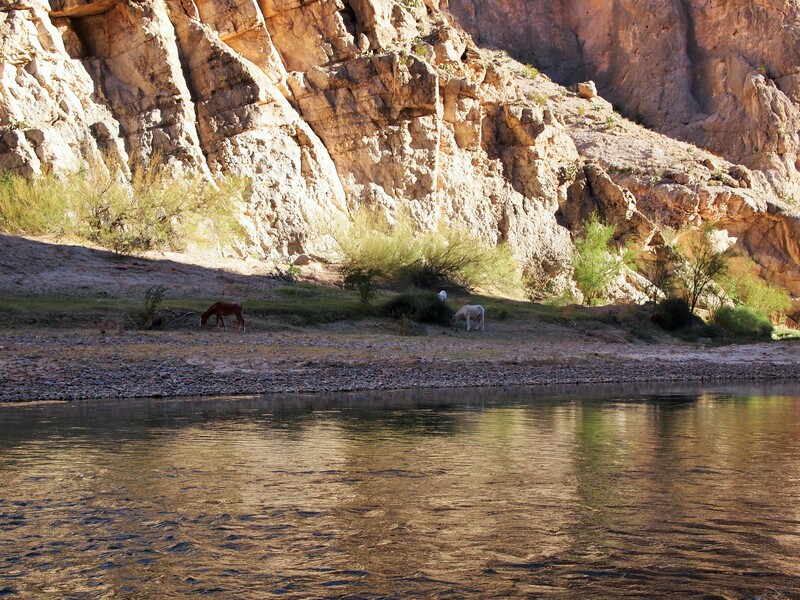 It was a brief hike – only 1.4 miles round trip – but a nice way to cap off our time near the border. 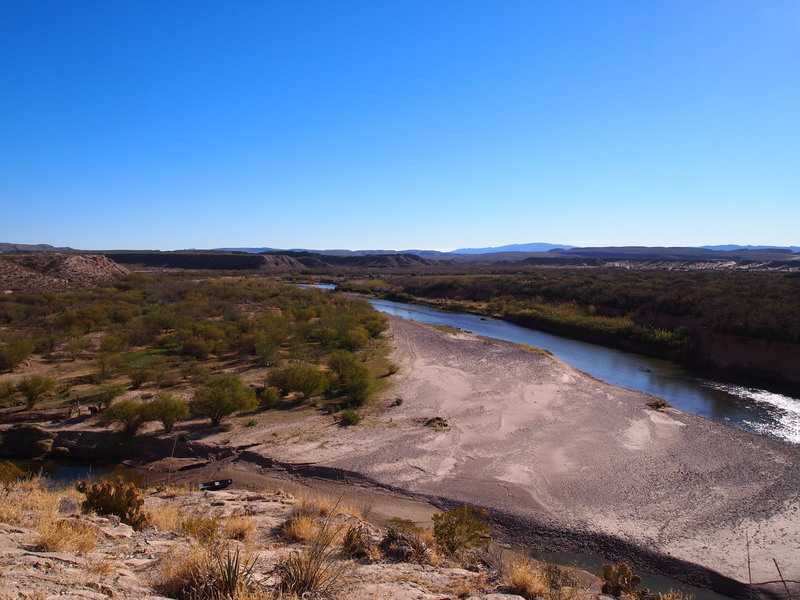 The trail began with an ascent to the top of a bluff which had lovely views of the Rio Grande and Mexico. 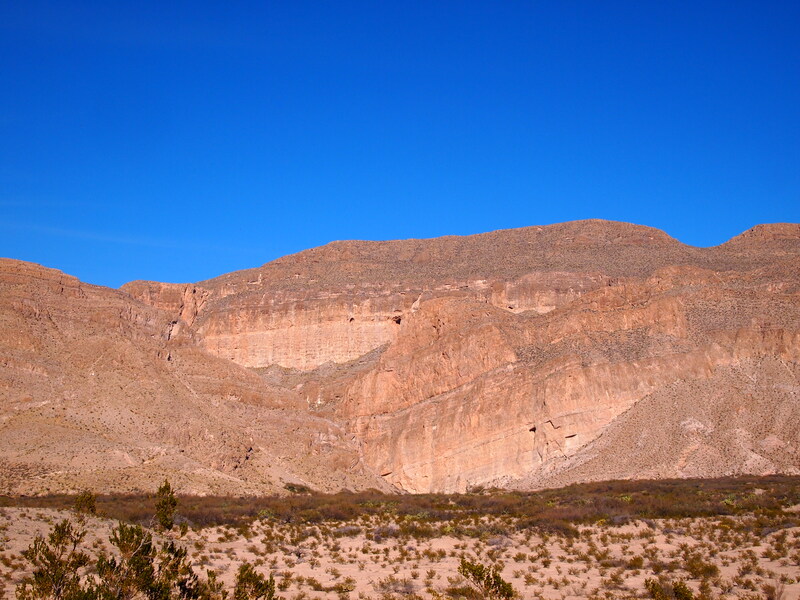 Some other hikers remarked at the immense beauty of the landscape, and then lamented Donald Trump’s promise to build a wall. 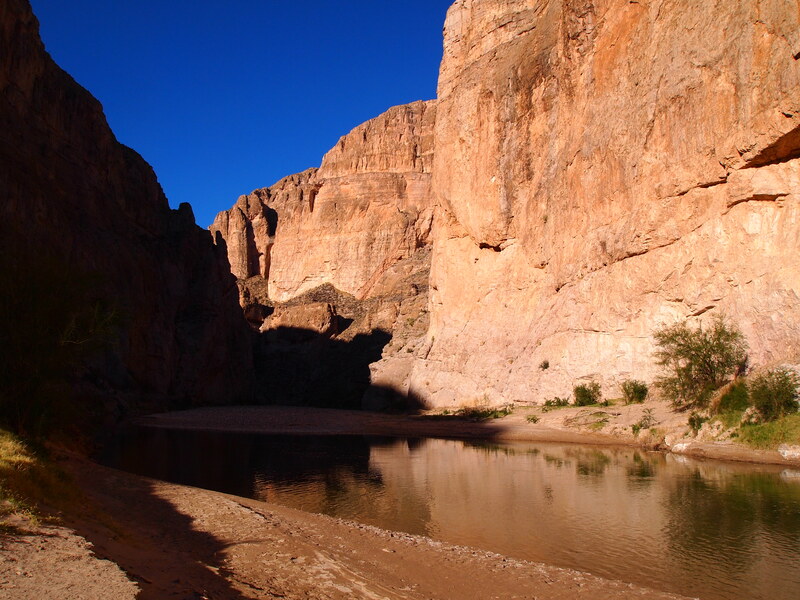 They wondered if he had ever visited this part of the border… Visiting Big Bend and living near the border certainly offers a very different perspective on the thought of a wall. 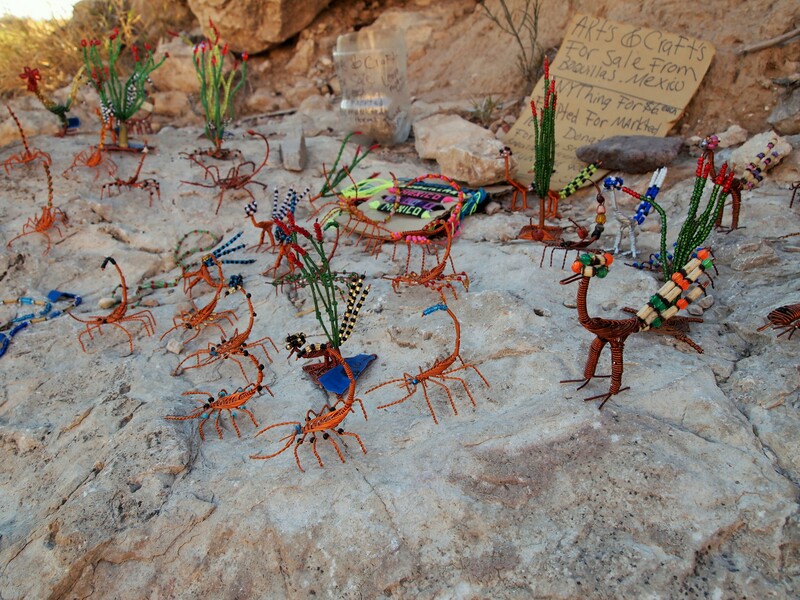 As we hiked down the bluff we encountered some of the same crafts we had seen in Boquillas. In the park, these souvenirs are considered contraband and visitors are urged not to purchase them. The purchase of these items encourages crossings which have potential legal ramifications and deteriorates areas along the river. 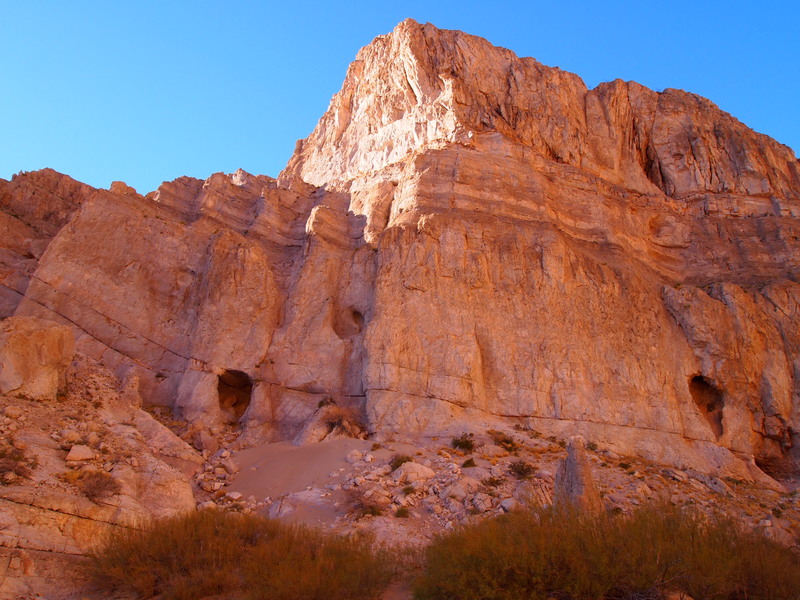 In addition, it is better for the residents of Boquillas if tourists make the trip to the town. This way tourists can fully contribute to their local economy. 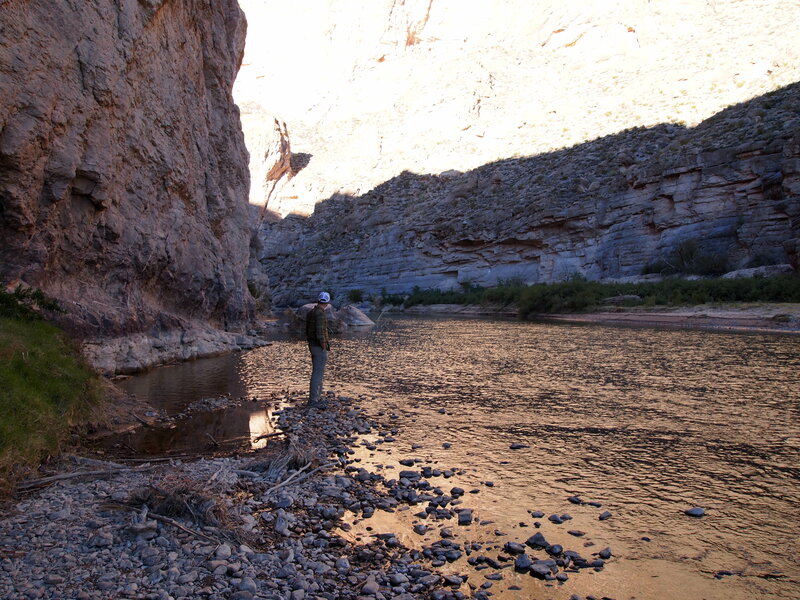 As we continued our descent, the trail opened up alongside the river. On the bank opposite us, there were horses grazing in the small swath of grass and their keeper (I assume) serenaded us for a while hoping we’d drop a dollar or two into the jar he’d left near the trail. 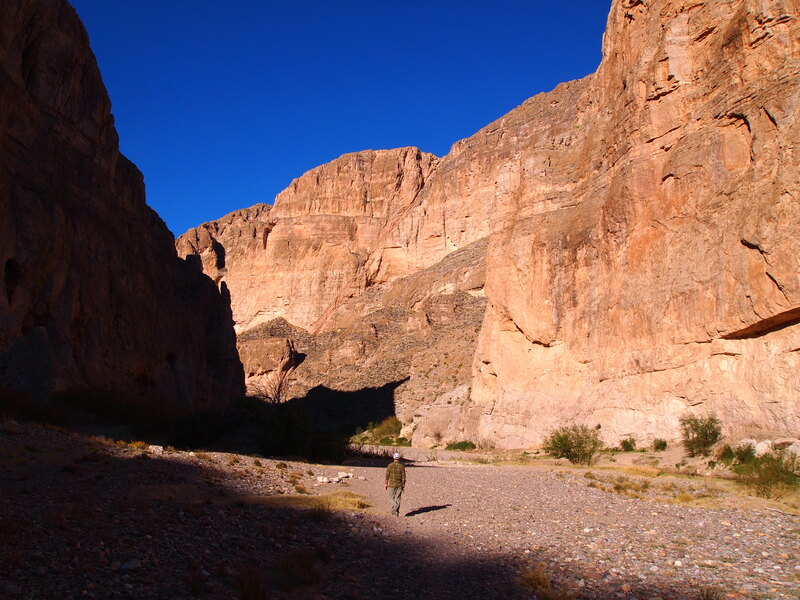 The canyon walls began to close in and the trail became sandier and more narrow as we continued. The sun was glowing fiercely in the sky as it began its evening ritual, and the magical tranquility of the canyon was reinforced. We quickly came upon the dead end as the trail disappeared under the river. There were a couple motorbike riders who asked us for a photo and returned the favor. It’s not often we get a photo together! Then we retreated the way we had come and drove off into the desert.